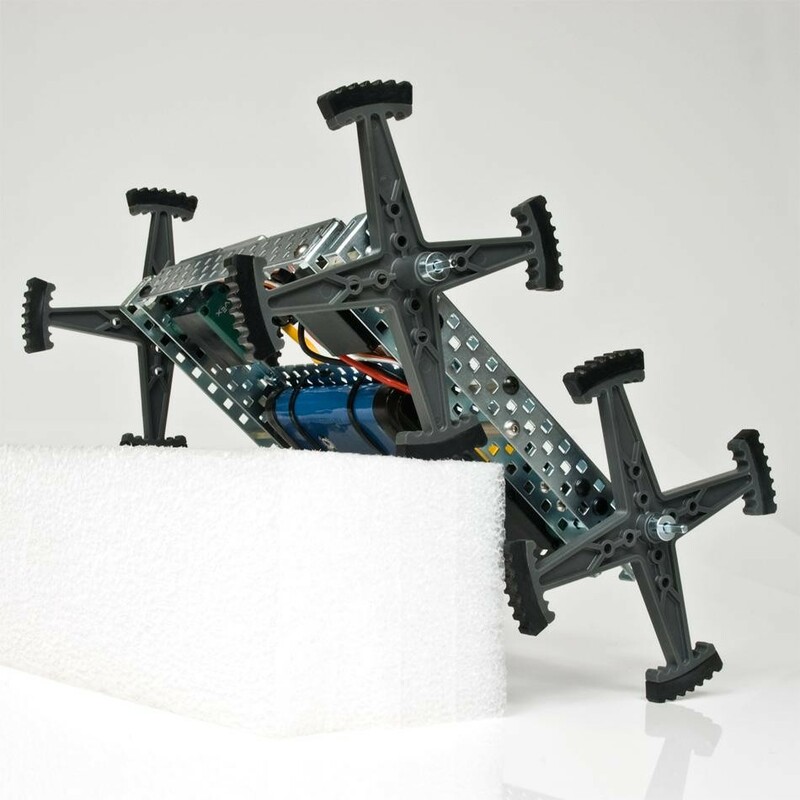 Create robots capable of climbing over almost any obstacle. 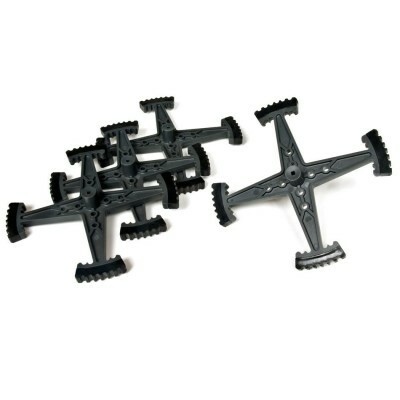 The Wheel Legs are great for constructing All-Terrain or Off-Road robots. These legs consist of (4) spoke "legs" protruding from a central hub with mounting holes for attaching mechanisms. They also have high traction rubber feet and an offset hub for "overlapping" wheels. 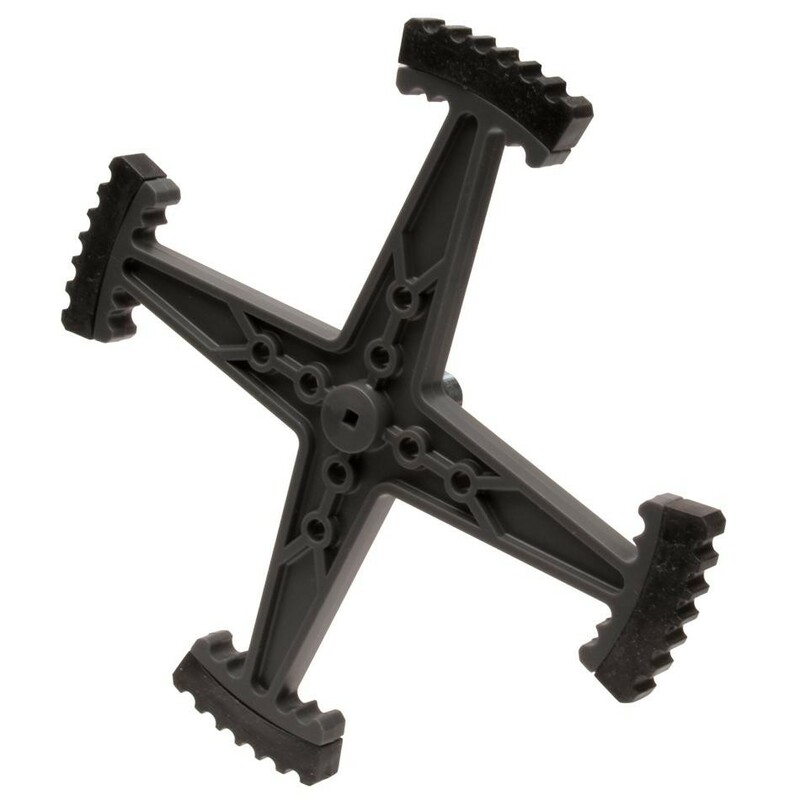 Create robots capable of climbing over almost any obstacle with the VEX 6" Wheel Legs. These legs consist of (4) spoke "legs" protruding from a central hub. They are great for constructing All-Terrain or Off-Road robots. 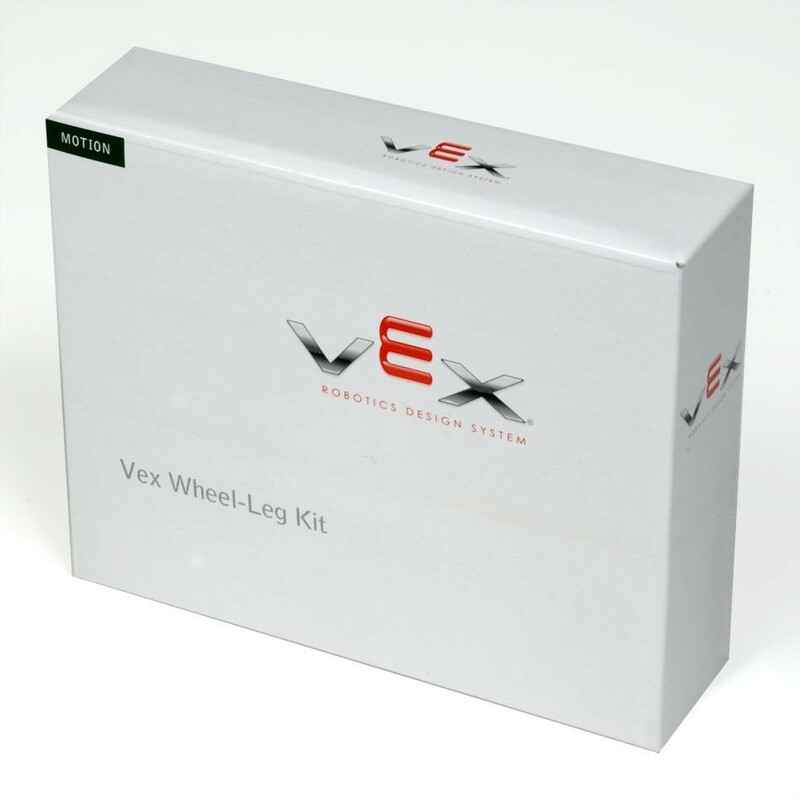 Each kit comes with (4) Wheel Legs. Weight: 0.074 lbs per Wheel.